View More In Dinner Knives. Excellante stainless steel sunflower dinner knife with bright finish. 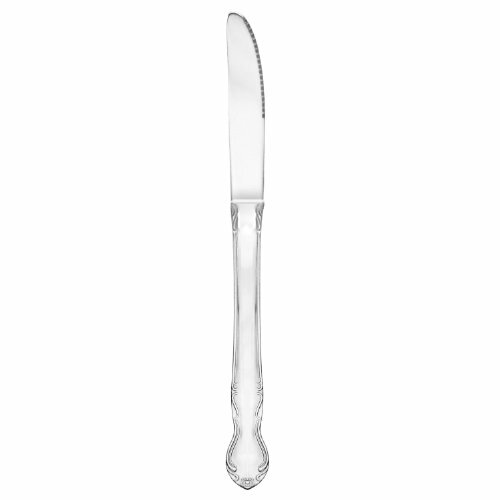 This knife is made out of stainless steel to ensure long lasting usage. It elegant design will sure be the center of attention on any table. This particular style are perfect for all type of occasion, from a formal event to a casual dinner. It is easy to clean and dishwasher safe. If you have any questions about this product by Excellante, contact us by completing and submitting the form below. If you are looking for a specif part number, please include it with your message.